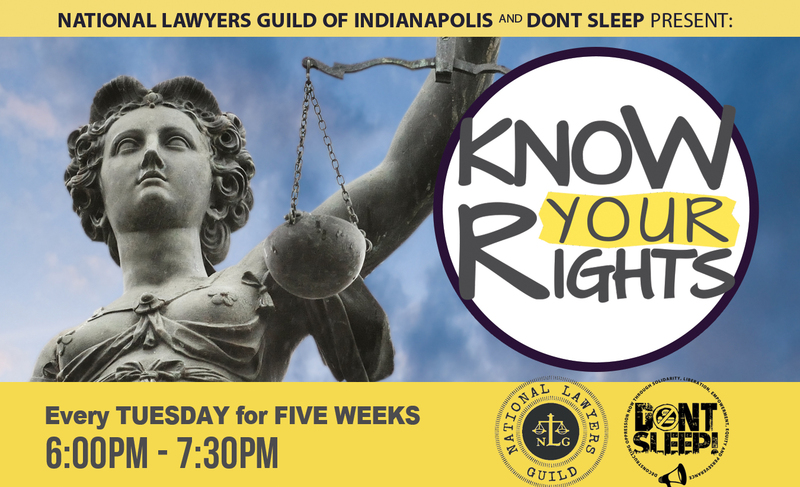 Thanks to a partnership with the National Lawyers Guild – Indiana Chapter, and the generosity of Martin Luther King Community Center, DONT SLEEP is proud to announce a 5-Week Series of Know Your Rights Trainings starting April 11th at 6pm! 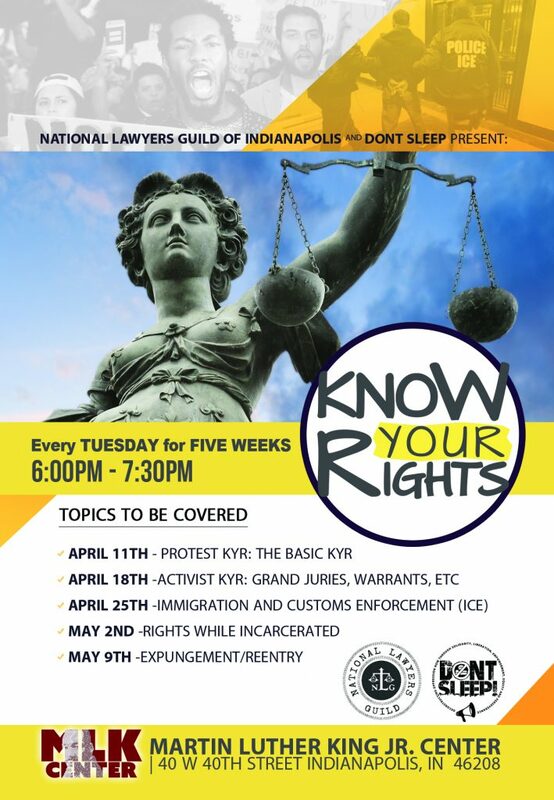 The first training Know Your Rights: Basic KYR will look at your basic rights as a protestor. Mark your calendars!